H ardwood Galleria keeps hardwood and laminate flooring products in-stock at our on-site warehouse for your immediate flooring needs. From time to time we need to make room for more inventory and will offer even lower sales pricing on select products. We offer these prices to those who want more than what the "big box" home improvement stores offer - quality, originality of design and beauty to local contractors, designers and anyone who is looking for their "best price, best value - but still extraordinary" flooring. Hardwood Galleria is centrally located in Orange County and can deliver your purchase to your door for no additional cost with a 25 mile radius from our showroom. We also offer shipping nationwide for your convenience (call for details and quote). These flooring prices are set to move quickly. Come in today to take advantage of these flooring specials! Too many to list. Call or come by our showroom today. Close-out specials and availability change daily! Cannot combine offers and discounts. Not valid on jobs already in progress or previously quoted. 300 square foot minimum required on installed specials. Subject to availability. 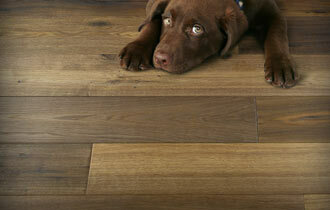 Flooring photos should not be used to make final selection! Please come into our showroom to see an actual product sample. We do not sell our flooring online. Pricing shown here is for one time offers on select products. Offers posted 10/25/2018. Professional installation is available by Hardwood Galleria's in-house installers. If it is in-stock, Hardwood Galleria can professionally install it for you within one week or less!